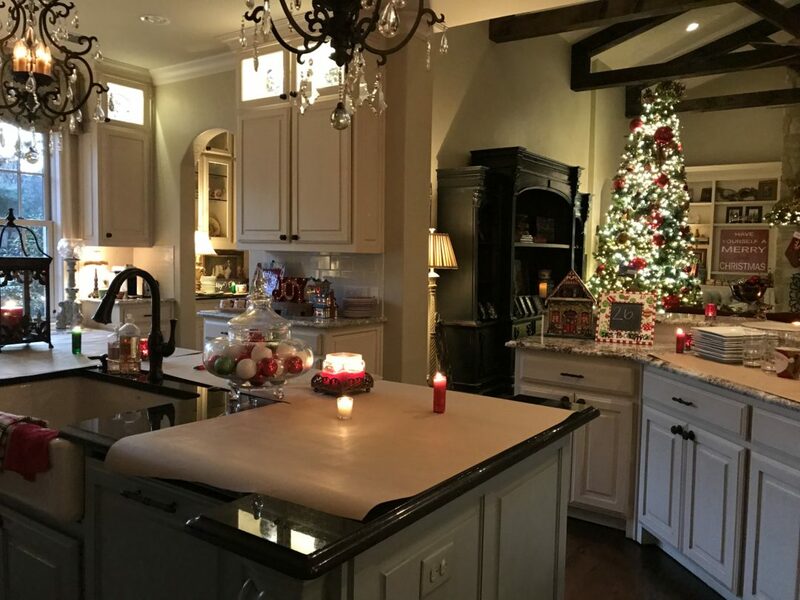 Five Days of Fabulous: My Annual Recipe Exchange! Sheaffer and I have been having THE BEST time this week sharing prizes, fun and silly videos with you!! 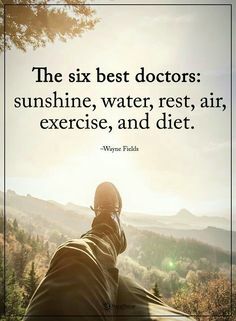 We look forward to this week all year long and hope you do too!! On Day ONE, we gave one lucky reader…a pair of Hunter rainboots for herself and then FOUR more pairs to gift!! 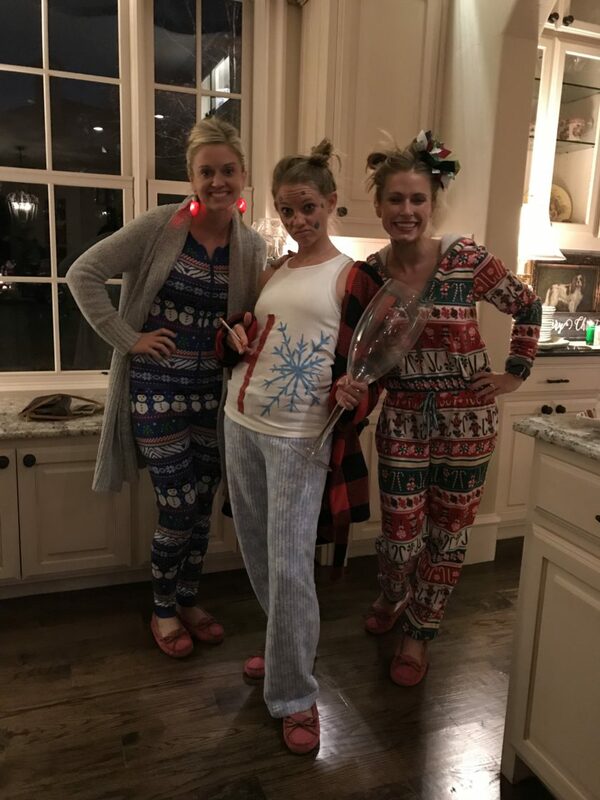 On Day TWO, we gave away…a pair of our favorite pajamas and the BEST slippers to one lucky winner and her two friends. On Day THREE, we gave away…a pair of cozy pajamas and Ugg slippers to one lucky winner and her two friends. Want to know who our big winner is from yesterday??? We emailed you this morning, Nerine! Please email us back ASAP to claim your prize!!!! 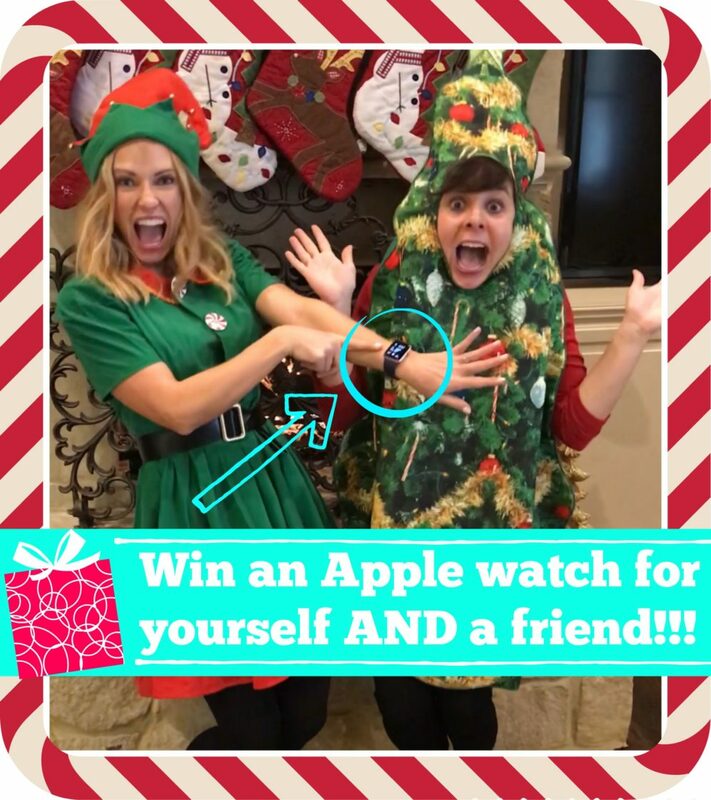 …an Apple watch for yourself AND a friend!!!! 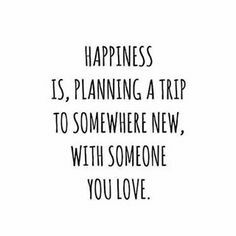 You and someone you love (maybe your hubby or boyfriend?!) will each receive an Apple Watch Series 1 this Christmas from us!! 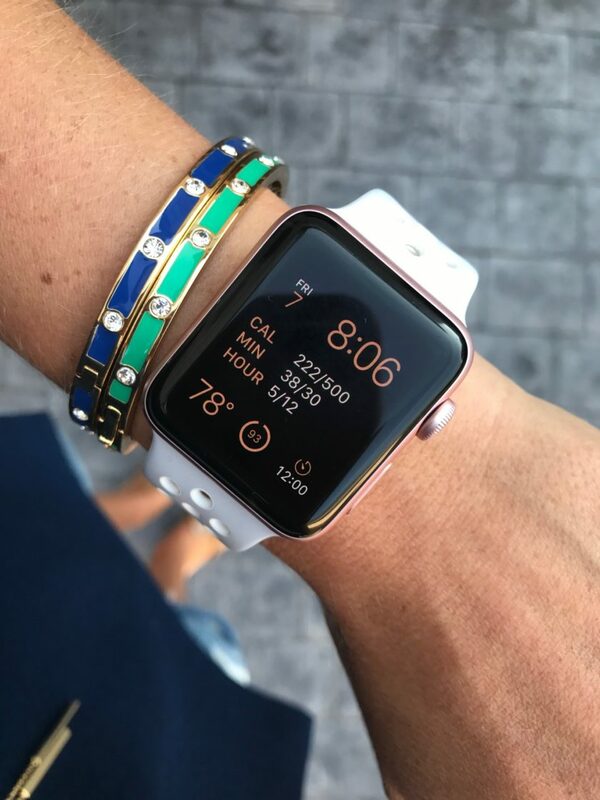 …if you missed my last Apple Watch post where I talk about why I adore mine so much, you can read it HERE. It’s one of the best things I’ve ever purchased! 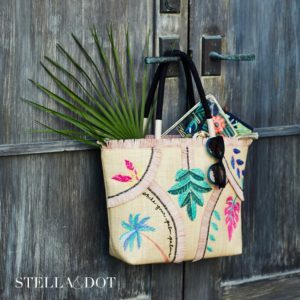 So, head to the bottom of this post to enter the Rafflecopter for your chance to win one for yourself and someone you love! 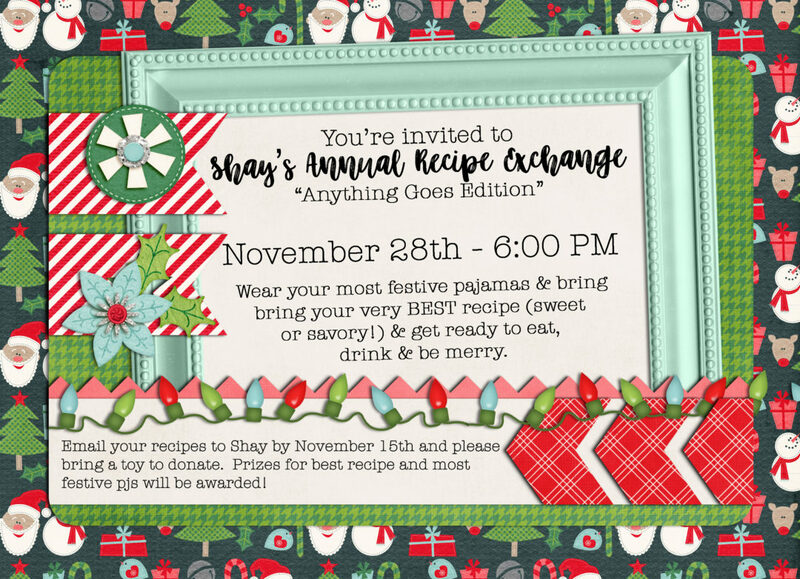 On Tuesday night, I hosted my 8th Annual Recipe Exchange!! This is my very favorite party of the year and NEVER disappoints! We always change up the theme each year. In the past, we’ve exchanged recipes for: cookies/bars, appetizers, side dishes, casseroles, breakfast recipes and have repeated a few times. This year though, I decided to make it an “anything goes” edition and it was such a hit!! This is where everyone voted for the most festive pajamas and favorite recipe. I print out all of the recipes, so that everyone leaves with them. 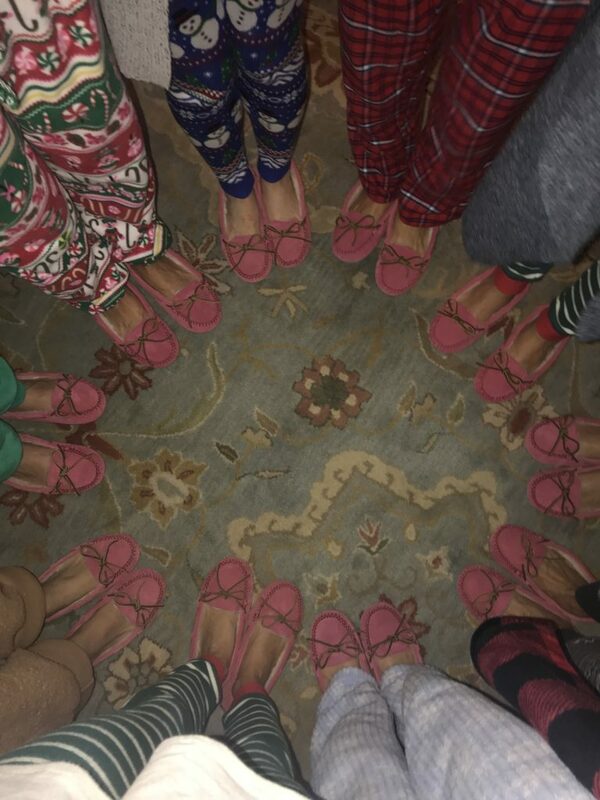 Since we were wearing pajamas, this year’s party favor was slippers! Everyone arrived and started getting to work! There was trash talk right from the start 😉 . Weren’t these cute and festive?! Our two redheads were laughing that they wore the same thing 😉 . Karla. That’s all I can say. Karla is ALWAYS the life of the party! At the end of the night, we voted this right here the WINNING recipe!! Oh my goodness! I just love my friends SO MUCH!! I love my girlfriends so much. This was such a wonderful night…but also sad too. This was our last “Manda wasn’t here” event of the year. She is just so missed. We talked a lot about her and her family as we ate. Manda loved things like this, and we miss her so much. Love on your girlfriends…life is just so short and you don’t know what tomorrow might bring. …my Candied Jalapeno Bacon Pimento Cheese Dip. 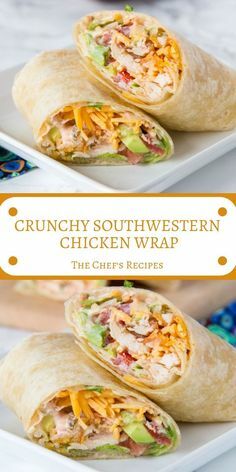 This recipe is so good if I do say so myself!!! 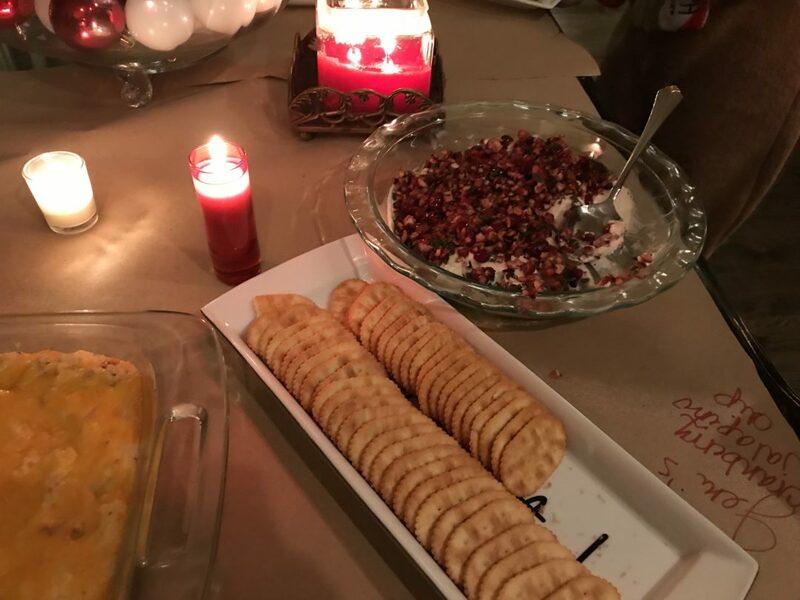 I made it for the first time on Thanksgiving night with my in-laws, and we loved it so much that I made it again for the recipe exchange because #givemeallthedip. You can see the recipe for it HERE. 1: Everyone emails me their recipe in advance and I compile I little booklet of all of them. 2: Everyone brings their prepared dish the night of the party. 3: We eat, eat, eat and then vote on our favorite (the winner gets a prize!). 4: Everyone leaves with a party favor and a copy of the recipe booklet. 5: I always provide drinks and dessert to round things out. Third Love. What? Who? Let me tell you. Sheaffer has talked about this brand called Third Love over and over again, so she asked me if I wanted to include it in today’s post too and I jumped at the chance! I love introducing new things to you guys, so when they were kind enough to send me some goodies, I happily accepted. This brand is known for their bras, but I was suuuuuuper hesitant to order one off the internet because, hello? How will I know it fits? I called Sheaffer and she assured me that if I took this little fit quiz they have, it would fit. So, I did and…BAM! It came in the mail and fit perfectly! I was like seriously impressed. …it’s cute, right? And bonus, it fits and is COMFORTABLE! Take the quiz (I was seriously so skeptical!) and see which style and size is for you. Easy as that! I love these lace t-shirt bras and might have to buy me some more! So, I think it’s more than obvious that I’m a big fan of ThirdLove products. I’ve loved their bras for a couple of years now, and now I absolutely love their lounge wear as well! I do want to mention that I’ve heard about some issues with ThirdLove customer service and exchanges. They are currently transitioning warehouses, and have run into some unexpected delays sending out product. ThirdLove is doing their best to take care of all their customers and appreciate everyone’s patience while they work through these growing pains. I always want my readers to be given the best customer service experience possible, so I reached out to my contact to brainstorm ideas. ThirdLove always wants to make sure their customers are happy and well taken care of. If an issue arises (we don’t expect it to…but if it does), you can reach out 7 days a week from 6am-9pm PST. Feel free to call them at 866-205-6833, text at 415-692-0089 or email hello@thirdlove.com. Whew! That’s a lot for one post! Okay friends, don’t forget to enter the Rafflecopter below for your chance to win not one but TWO Apple Watches!! The winner will be announced tomorrow on our fifth and final day…where the grand prize is BIG! Love you ladies!!! 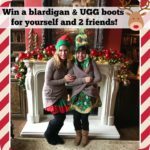 Five Days of Fabulous: Beauty, Blardigans & Family for the Win! Five Days of Fabulous: OUR FINAL DAY!!! Can you tell me where the slippers came from? They are so cute! Yup, just butcher paper and Sharpies 🙂 . Oh my gosh! So much fun! Love this post every year! So fun! I love recipes, so a recipe exchange sounds like a blast! I always look forward to your recipe exchange night! 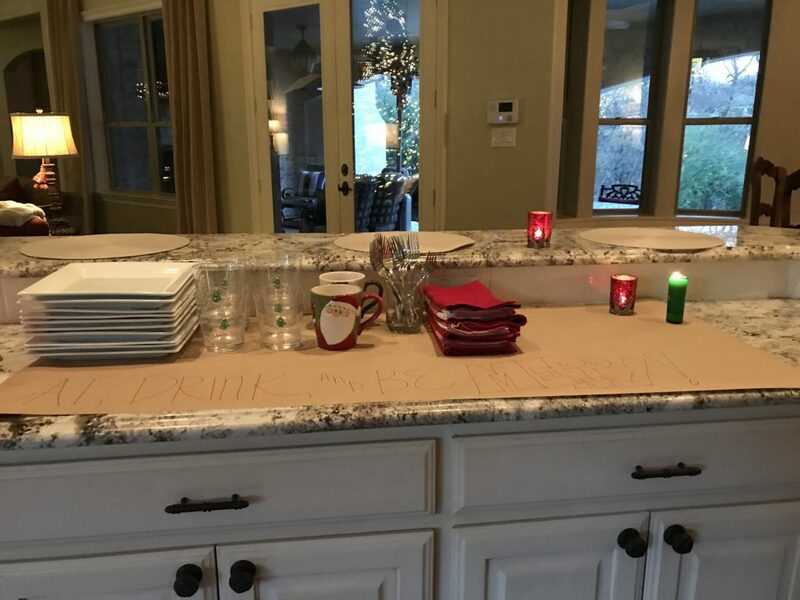 Great idea with the butcher paper and sharpies to put peoples dishes and their names on. How do you decided what to give out as party favors? I change it up every year. I’m always on the lookout for new ideas! I love reading about this event every year! 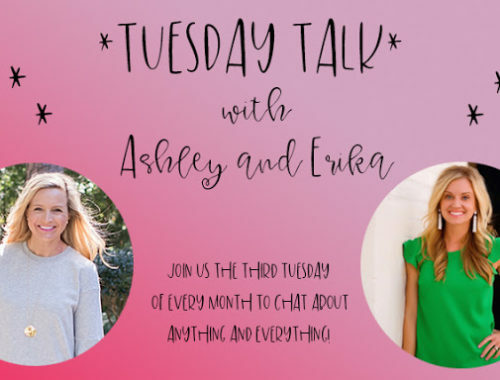 I just have one question–I’m curious as to what you do as the host (and the other ladies) with your kids that night?? Do you have Andrew take them out or just have them go upstairs or maybe you even combine with the other ladies? I feel like this is such a fun time spent with your girls, I’m just thinking about the logistics. Thanks fir always sharing! Andrew took my kids to dinner and then they hung out upstairs 🙂 . I saw this article this morning and thought it was so touching. Photographers capturing finalized adoptions. Well, that didn’t work. 😳. Let’s try this again. 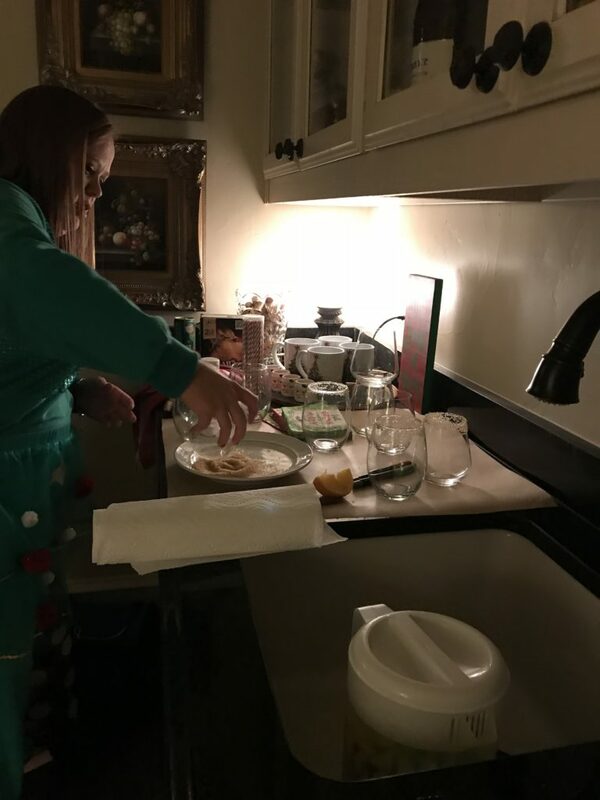 Love your PJ’s from the recipe exchange! Where did ya get them??? My ThirdLove bra is my absolute favorite! I wear it every day and am sad when I have to wash it. I seriously can’t tell I’m wearing it! 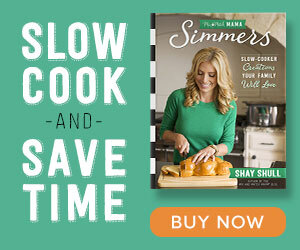 Your recipe exchange looks so fun! 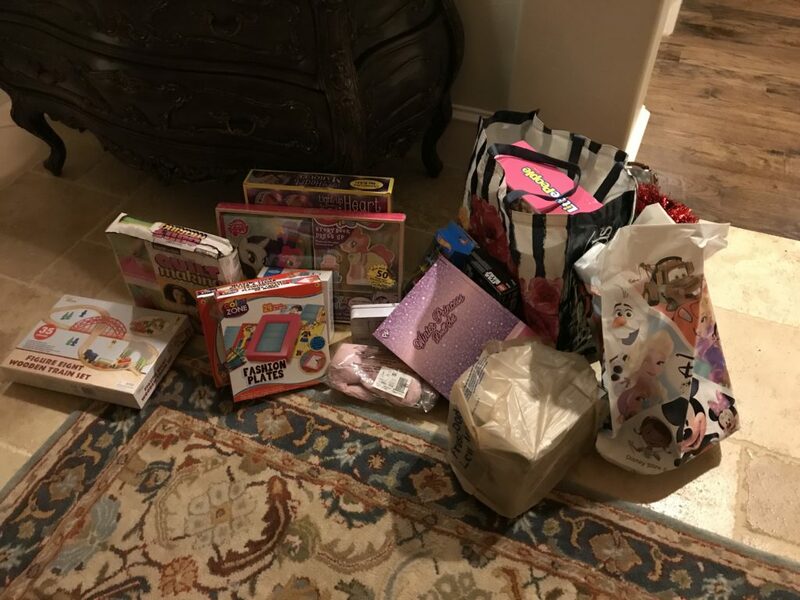 I always love reading about your Christmas holiday exchange every year! Such a fun tradition! Your recipe party always seems like so much fun! 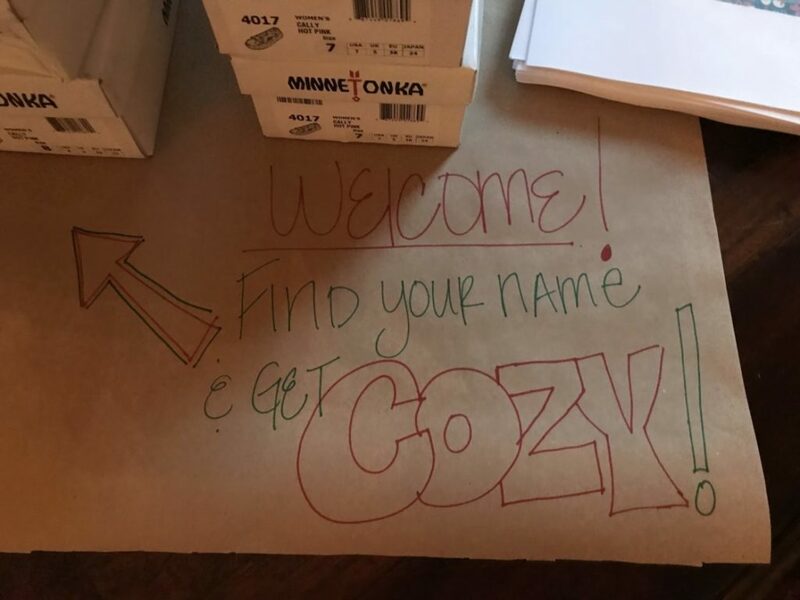 I love how you went with the paper and sharpies for labeling – so cute and easy! Love reading about your recipe exchange every year!! And that lounge outfit is too cute on you! I think Narci will be posting it on her blog!! I’ll double check! 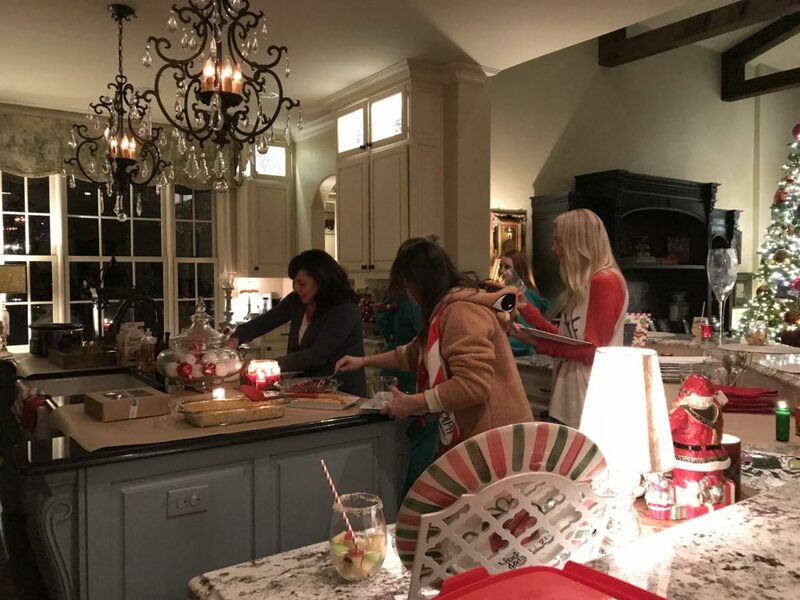 And the striped pjs are from Nordstrom! HI, I noticed on the Rafflecopter states to tag 4 friends on instagram today. On your instagram post today it states to tag a friend. 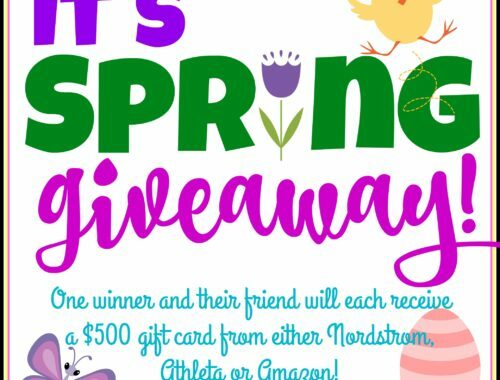 Is it ok to just tag one friend to enter today? I’ll double check that it’s correct! Would love to have all the recipes posted! Such a fun girls night. I love that you send everyone home with the recipes from the night. What a smart idea with the paper to write out what everything is!! Is it sad that I really want to be ya’lls friend!! 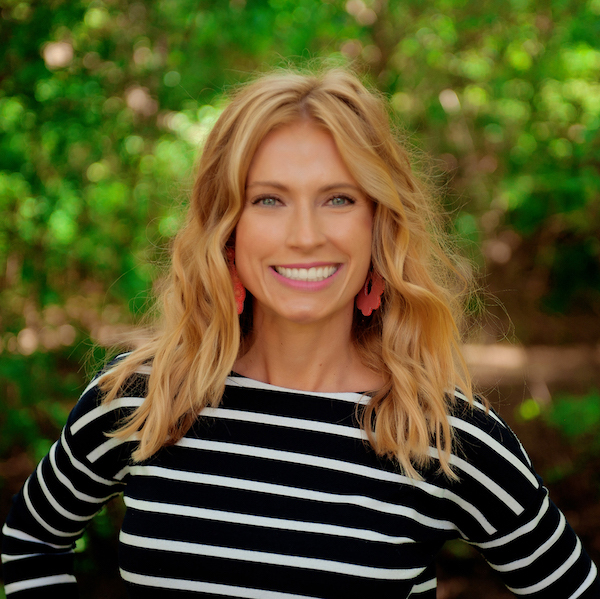 Love reading about the recipe exchange!! Looks like such a blast! Thank you so much for the opportunity today to win these watches!! Crossing my fingers!! Definitely would be a dream come true!! 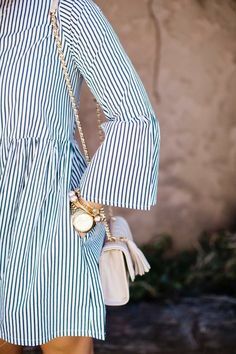 This watch is at the top of my Christmas wish list! I’m a teacher and think I would get so much good use out of it! 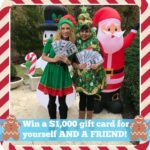 I’d love to win and spread the cheer to my bestie! Your girls night is such an inspiration, definitely doing something like this in the future. *Just curious, were the slippers paid for ahead of time by everyone and then someone picks out something? The slippers were a great idea! 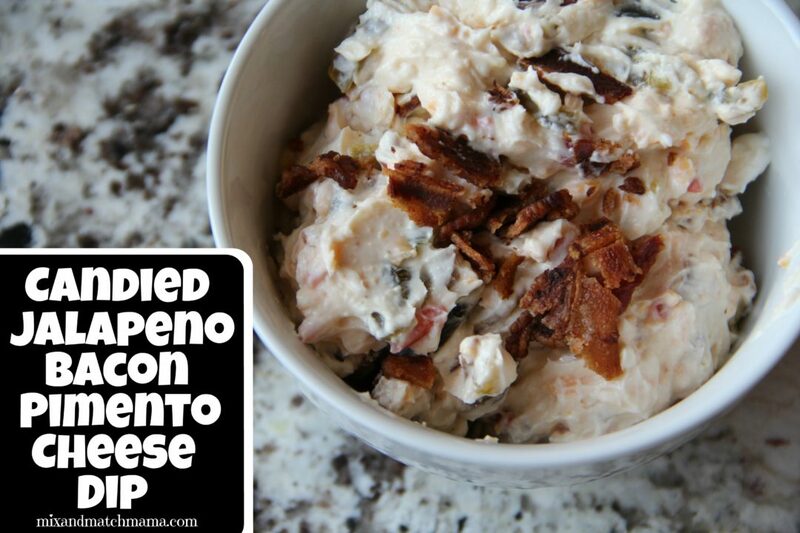 All the teachers in my building LOVED Sheaffer’s dip last year! Any chance you’ll be sharing this year’s winner? Maybe a post on the recipe winners of year’s past? Thanks so much. 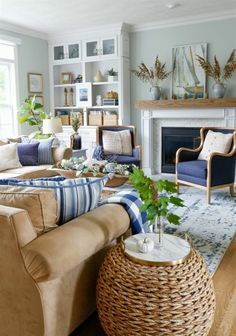 You have a beautiful home, family, group of friends, and giving spirit. Thank you for letting us share your blessings. What a fun night! I love it! 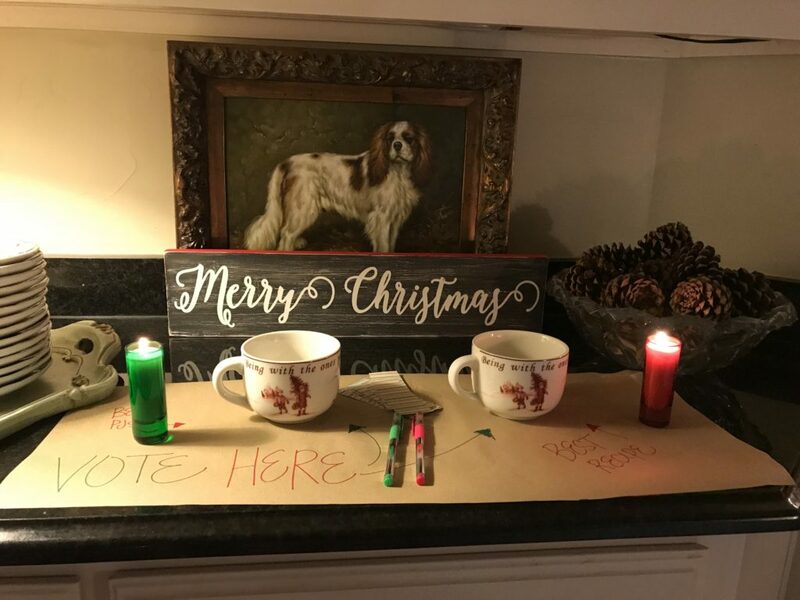 I always love all of your holiday posts! I would also love an Apple Watch, and on for my mom-Karen Lovell. Shay is there anything else I need to do to enter today’s giveaway? What a fun night, your friend with the big wineglass is definitely a hoot! 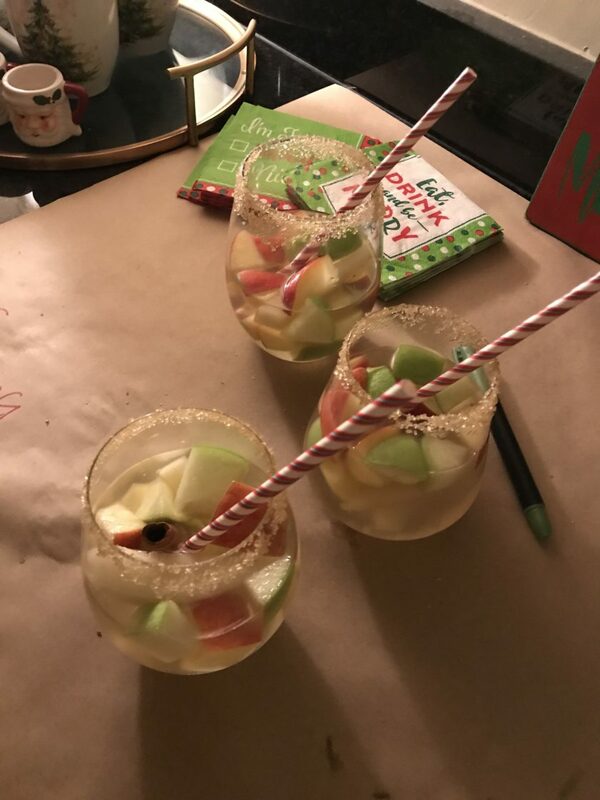 Because most of us will never host or attend such a fun event with friends….would you consider posting or linking the recipes of the dishes that the other ladies brought to your party?? Pretty please!!! I really need one because my sister is a poor college student who needs one. I would love to win so I could give this gift to her and surprise her for Christmas. ahhh i need to have one of these parties! it sounds so great! Your recipe exchange is one of my fav posts each year! Love to see what y’all make! 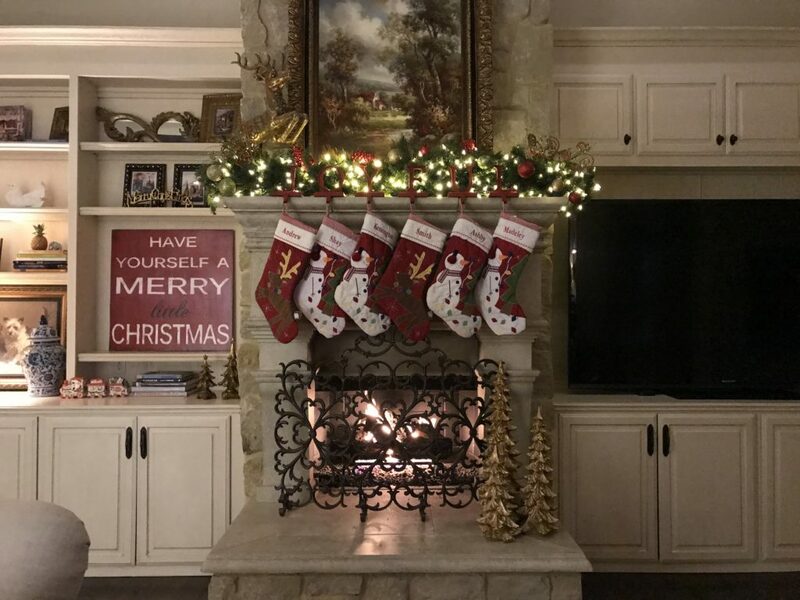 Where are the gold trees from in you fireplace pic? Apple watch, I die if I got this! Been looking at them and wanting one since they came out. Im tagging my Mom Myra Richmond. She could really use one too. I have twin boys and she keeps them and her other grandson. This watch could helps us all stay organized!!! 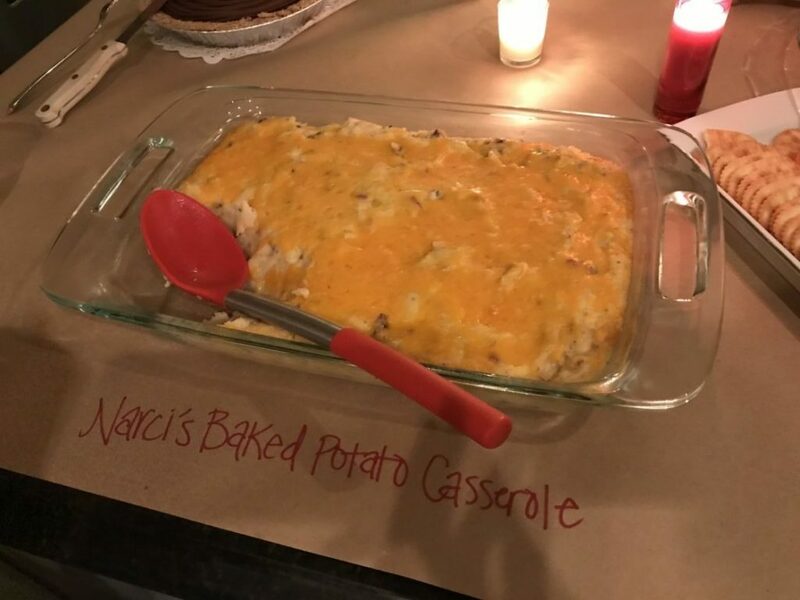 I make Narci’s dip…. my suggestion Lime Tortilla Chips…. ah-mazing! Just love these posts! 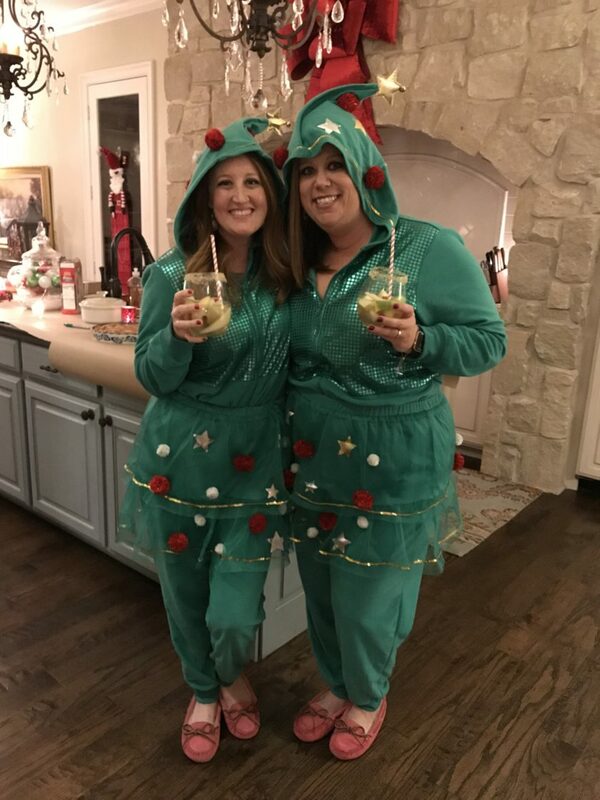 My girlfriends and I do an annual Christmas get together but we never really have a theme. Might be something to try for next year! Are you going to post the recipes I hope?? 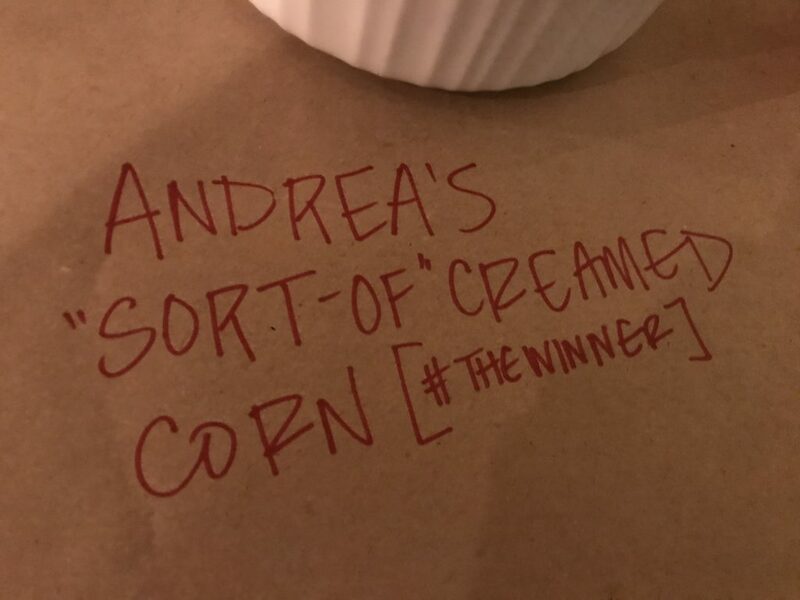 Especially your dip and Andreas corn?? We want to see them all!!!! Where does one find candied jalapeno’s? 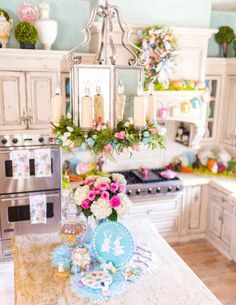 Your recipe exchange party is always a favorite! Love it all from the party favor slippers to the festive pj’s and butcher paper and markers. Just. so. fun. :). Your parties always look like so much fun!! I want to be your friend too!!! Thank you, thank you, thank you! Super exciting news to wake up to this morning!! 🙂 Have the best day!! Such a cute & sweet idea!!! I love this!!! Do you have a link for the pink slippers? 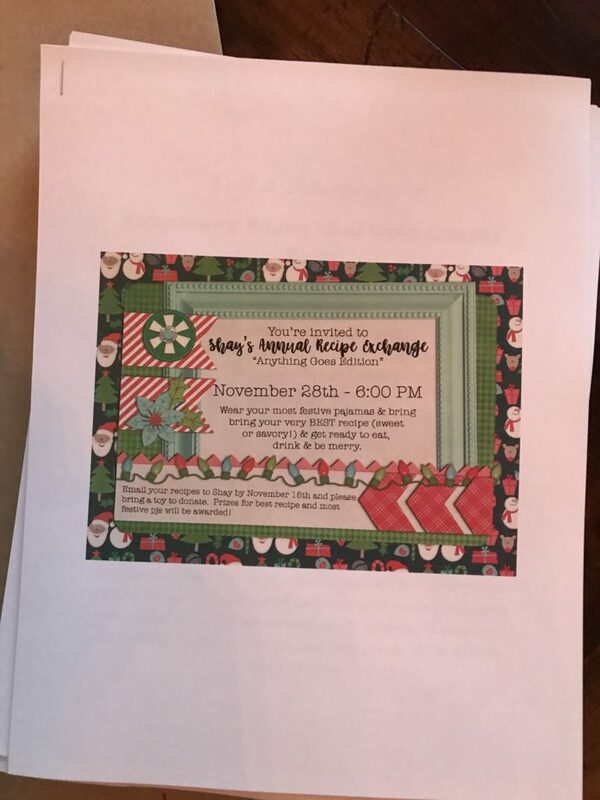 I love reading about your annual recipe exchange party! The Minnetonka slippers are such a great party favor! Did I miss who won the most festive pj’s prize? Lisa did!! Her pjs could not be published on my blog 😉 . She looked FANTASTIC in them, but didn’t want pics posted because they were sort of…um, revealing 😉 . Wow love your blog shay! You are sharing so many tips on life. I keep following you and reading in Europe! 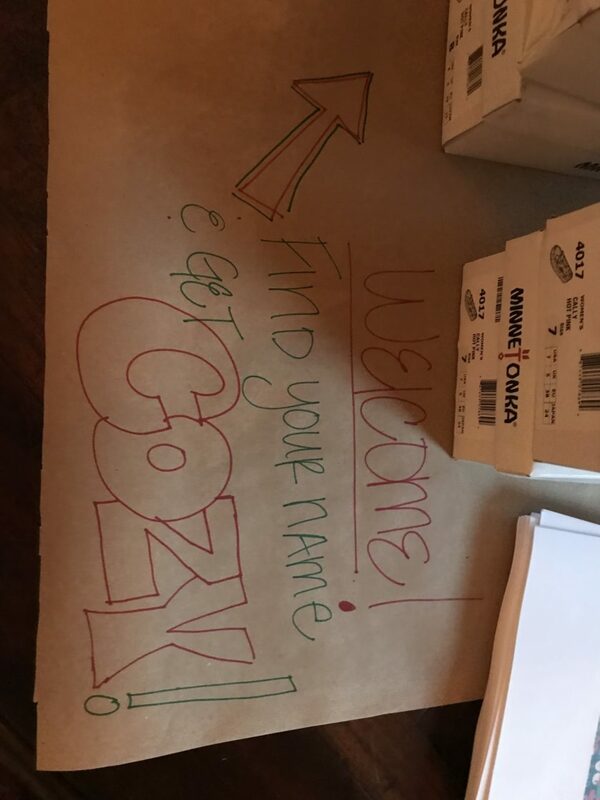 One of my favorite posts is your “Recipe exchange party”!!! Fingers crossed 🤞🏽 hope to be the big winner of the Apple Watch contest for my husband and I.
Nope, no wifi needed and yes, you can put the app on your phone! 2- Any chance we can get the recipe for those winning potatoes? I keep debating on the Apple watch!! 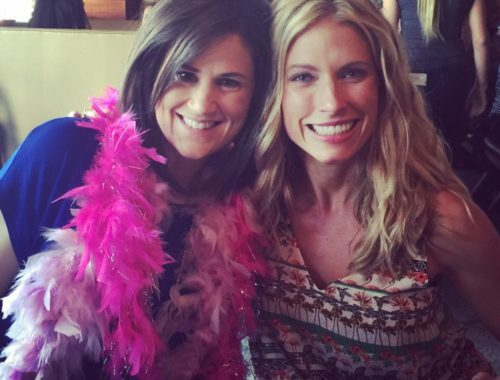 And I love your annual party…I’m planning one in the next couple months for my friends as well! This looks like such a fun time!! It’s a good reminder to make time for friends at such a busy time of the year. Thank you! 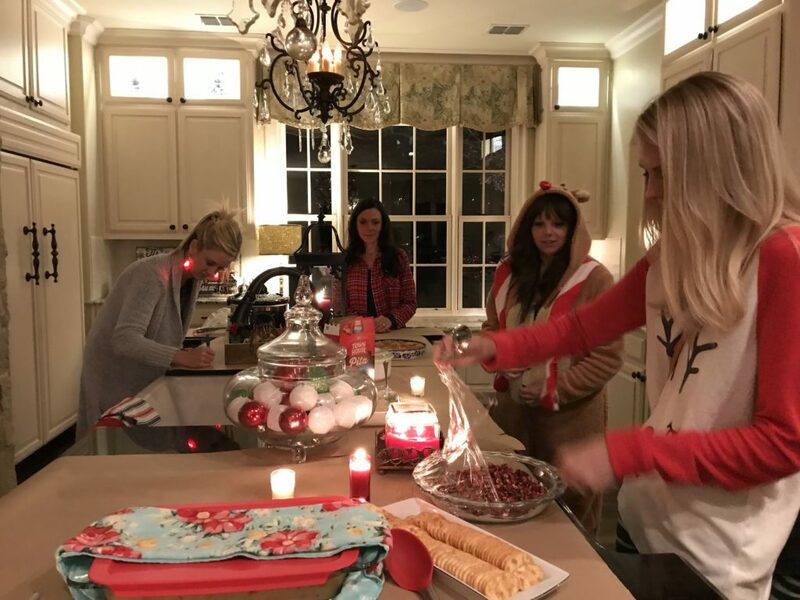 Who won the prize for the most festive pajamas? Always love to read about your recipe exchange party. They alsways look like such fun. 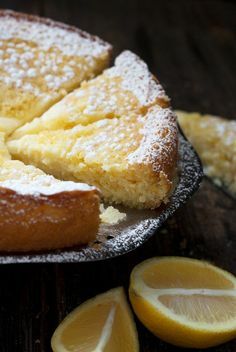 Would love if you would post everyone’s recipes!!! they all looked delicious! Such a fun group and great idea! Someone hand me a paper bag! I’m hyperventilating! Rafflecopter, please, please pick me!!! 🙂 Best giveaway ever! Love your recipe exchange! We just moved into a new home so life is a little upside down, but next year I’m hosting one! So fun! This was a really fun post with the Exchange Party….I know its sad that Manda wasn’t there…but she was! Her spirit and memory will always stay with you because you all love her and include her in all your girlfriend fun!! Y’all just be there for each other and for her family. Have a wonderful Christmas season!! Do you plan on posting the recipes? Would love that so much!! Your home looks so festive and what a fun night you all had!! Tomorrow’s is open to Canadian residents too. I always love the pics from your recipe exchange! Your friend, Karla, seems hilarious! It must be a laugh a minute with her around! I love the idea of Third Love since I have two teen girls. The option to order a bra and wear it before committing to it was great. However you can only use this service one time for one person. I was so bummed and they said that was the way their model works unless I want to have it sent to another address. Not worth it. I understand if had to create different profiles for each female but too bad they lost our business. 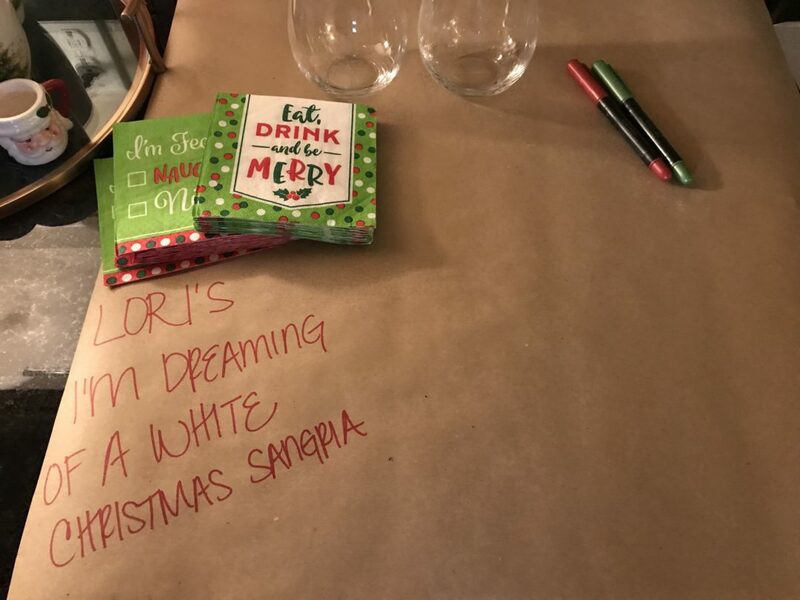 Such a fun night, I’d love to start this with my girlfriends! 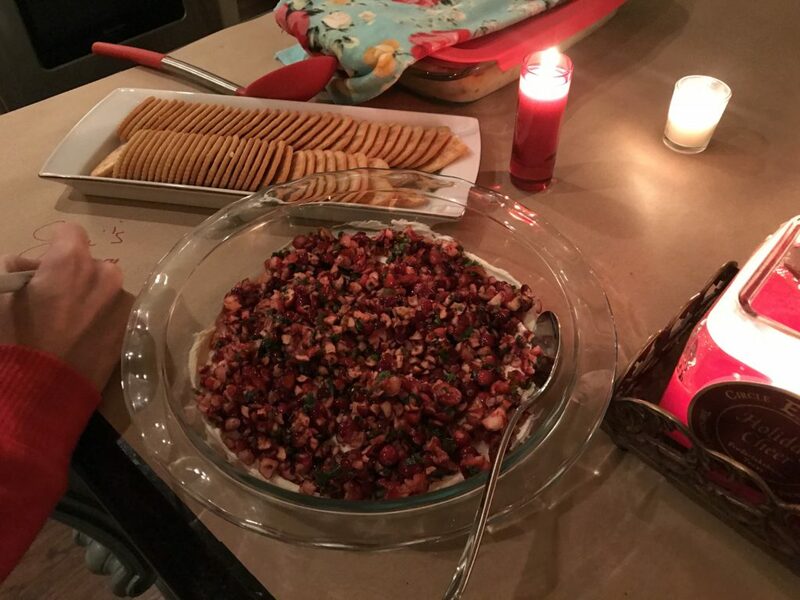 Seeing pictures from your recipe exchange is always a highlight of this season! 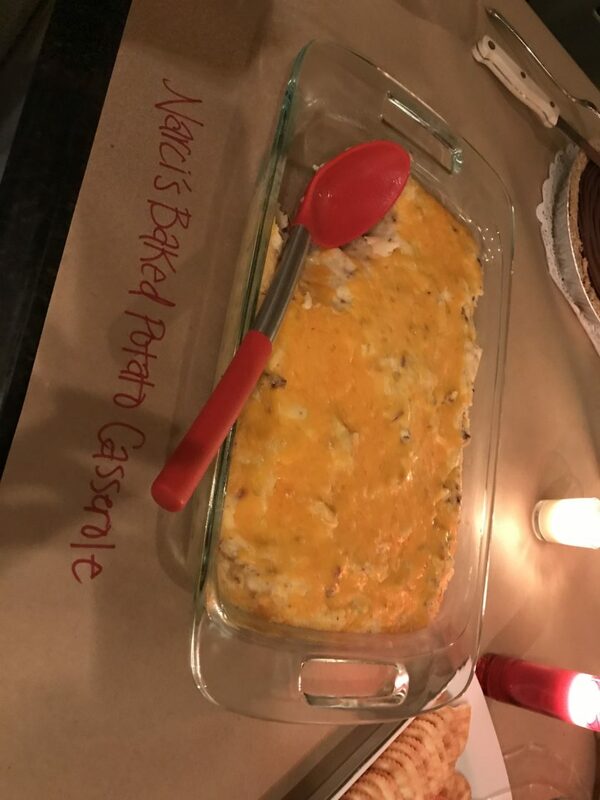 Andrea’s recipe looks delish! Huge fan of the PJ attire too! Can you post the winning recipe? The evening looked like such a FUN time!! Yes! I’m going to make it and post it! I am never lucky, but this I would be my favorite to win! It’s on my Christmas List! I would be so, so excited to win this! I always love your recaps of your fun events 🙂 how cute is that!!!! 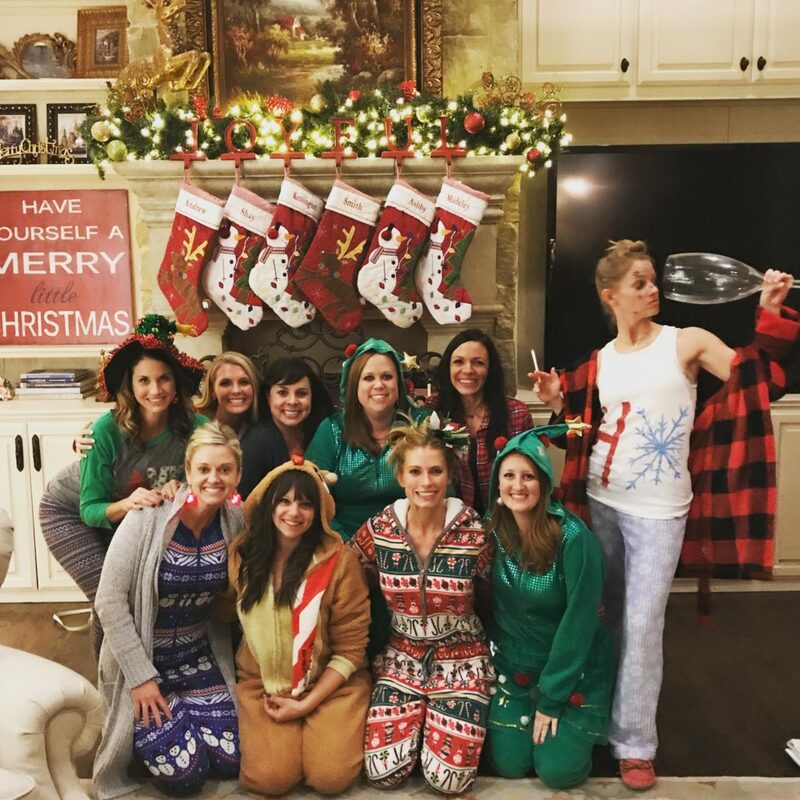 Your annual recipe exchange party always looks like so much fun! I always enjoy reading about it every year and always say that I’m going to start hosting one. Honestly…I’m going to do that next year!!!! Writing it on my next year to do list. Love your traditions that you have with your friends! Crossing my fingers I win the Apple Watch! Look like so much fun! The beverage napkins are so cute! Where are they from? Where did you get those cute beverage napkins? Where did you get that big pretty red bow and Candles?! The bow came from a store in town called Homeology and the candles are from a million different places. But on the upside I got time to look through yours and @sheaffertoldmeto’s websites! I’ve spent so much time looking through all your posts and everything! Can’t wait for those apple watch results! Shay! 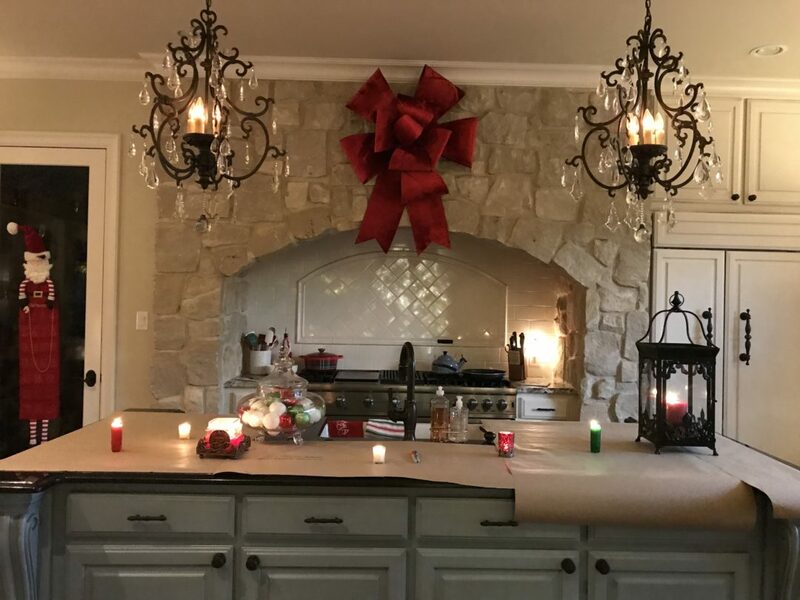 Where, oh where, did you get the big red bow above the stove?! 😍 Also, what kind of drinks do you usually serve during the recipe exchange? Does it depend on the theme? It does depend on the theme! And I bought it at a store on our square called Homeology :). It’s Andrea from Slightly Askew Designs! She does all of my stuff!! Are the slippers the Minnetonka ones from Nordstrom?? (They look the same, but it’s hard to tell for sure.) I’ve been wanting the Ugg slippers forever, but just can’t swing that much right now. 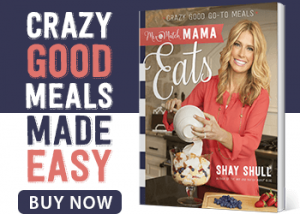 You should write your next cookbook based upon all the recipe exchanges from years past! What a great Christmas present that would be for family or friends!